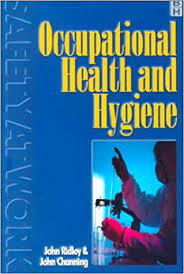 Paper Masters will compose a custom research paper on Occupational Health and Safety that fits your guidelines. Here is a sample introduction. The field of Occupational Health and Safety’s goal is to protect people in work environments. Occupational Health and Safety or Occupational Safety and Health Administration (OSHA) seeks to keep employees safe while one the job. OSHA protection can extend to coworkers, family members, customers, and others who are present in a workplace environment. It is the responsibility of employers to maintain a safe working environment at all times. Companies do this by conducting hazard and risk assessments. Hazard assessments identify the hazard and take action to get rid of the hazard. Risk assessments identify the hazard, and evaluate the level of risk, and control measures that are identified. Companies are legally required to provide the protection for their employees. Legally companies must take the necessary steps to prevent any health or safety issues. Legally companies might have to compensate employees or others if safety procedures are not followed and injury occurs. Occupational Health and Safety regulations are rooted in changes that were brought about by labor movements during the industrial revolution. Concerns arose over the well-being of workers, especially children working in factories and miners who were working under dangerous conditions. Occupational Health and Safety is beneficial to companies because it can decrease employ related health costs. When employees are healthy and safe it keeps people at work. This reduces the amount of money organizations must pay in sick leave, insurance, and disability benefits. Fast Food Workers - Working conditions entail repetitive tasks, handling potentially dangerous equipment with little or no training, and long, irregular shifts . Paper Masters writes custom research papers on Occupational Health and Safety and examine the goals that protect people in the workplace environments.